When you use Zotero with the plug-in for Microsoft Word or LibreOffice, you can use it to insert your in-text citations (also sometimes called parenthetical citations, depending on the citation style). To insert an in-text citation, make sure the Zotero application is open. Place the cursor at the point where you want to insert the citation, then open the Zotero menu in your word processor. (Its location or appearance may be different based on your word processor and operating system. On a Mac, it may be in the script menu.) Choose "Add Citation." 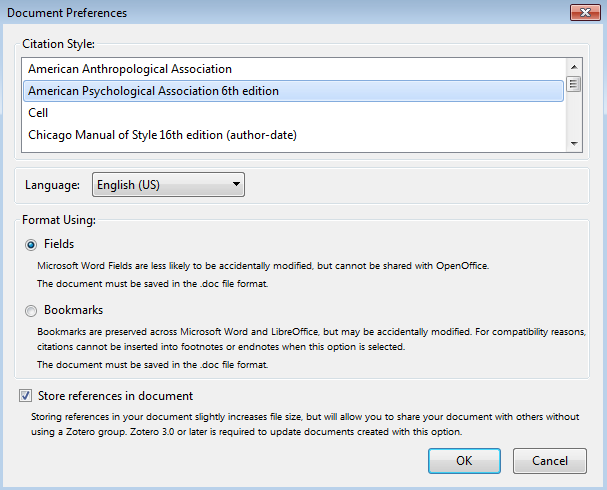 The first time you add a citation in a new document, Zotero will prompt you to set your preferences for the document. Choose the citation style you are using, then choose to insert the citations as fields, and to store the references in the document, and click OK.
A search bar will appear. 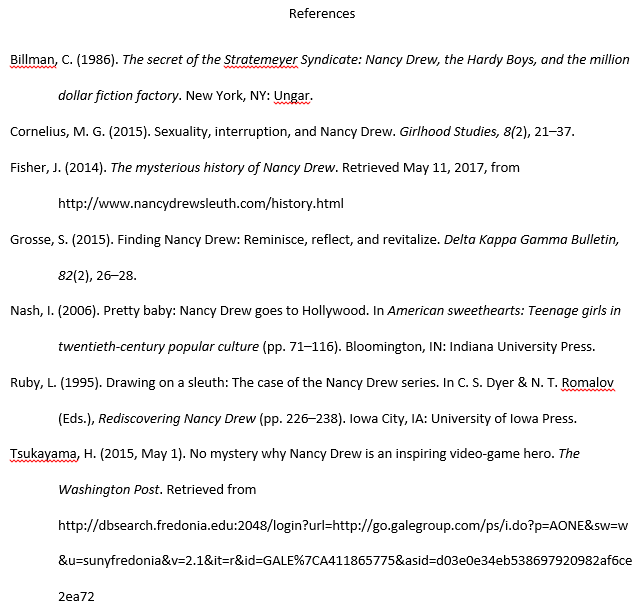 Begin typing the name of the author or title of the piece you want to cite. If you need to enter a page number, double click on the citation in the search box. Then press enter twice to insert the citation. When you use Zotero to manage your in-text citations, you can also automatically generate a bibliography for your paper. To generate the bibliography, format the page according to your citation style, and place the cursor where the references need to go. Then go to the Zotero menu and choose "Add Bibliography" or "Insert Bibliography." Zotero will generate the bibliography from the references included in the document and format it according to the citation style set in the document preferences. 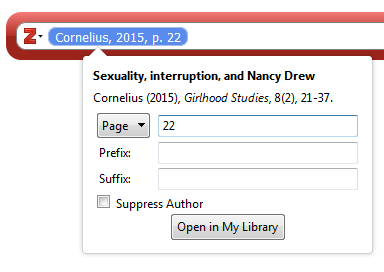 If you add or remove references to your paper, chose "Refresh" from the Zotero menu to update the bibliography. 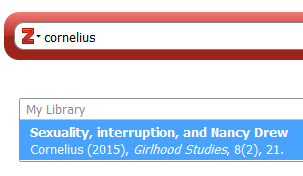 Be sure to double-check your bibliography before turning in your paper to ensure that Zotero has properly formatted it.